Denver doom practitioners IN THE COMPANY OF SERPENTS will return to the stage late this summer on a short run of live dates surrounding their performance at this year’s edition of Scorched Tundra Fest in Chicago, Illinois. Set to commence on August 30th, the mini journey includes shows in Omaha, Minneapolis, and Des Moines. See all confirmed dates below. IN THE COMPANY OF SERPENTS continue to tour in support of their stunning Ain-Soph Aur full-length self-released earlier this year. Hailed for its, “towering sludge riffs, vocal-cord-shredding roars, and somber brooding atmospheres,” by BrooklynVegan, the six-track offering takes its name from the three veils of negative existence which precede the manifestation of the material universe in the philosophy of Hermetic Qabalah, a Western esoteric tradition involving mysticism and the occult. The phrase translates to “Limitless Light,” and is emblematic of the Qabalistic concepts which are central to the record. Ain-Soph Aur was captured at Flatline Audio in Denver by Dave Otero (Cattle Decapitation, Khemmis, Cephalic Carnage). 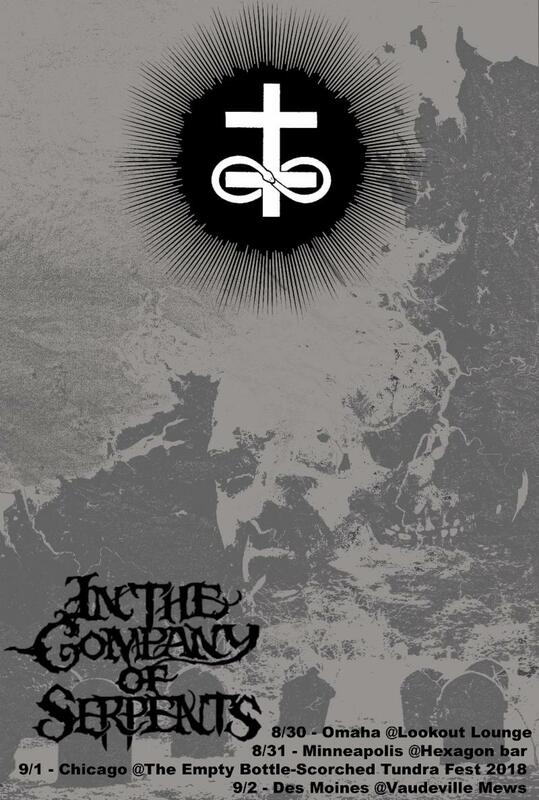 Stream Ain-Soph Aur at the IN THE COMPANY OF SERPENTS Bandcamp page at THIS LOCATION. Bands Being Kicked off Tours and Losing Gigs over Content of Lyrics.